I teach skills such as researching, creating spreadsheets, presentations, and etc.... I sometimes find myself using the same lessons or projects to teach these skills, which get boring for me. Like most teachers I just don't have the time to create rocking lessons for every topic I teach. I was introduced to NextLesson during the EdmodoCon 2014. 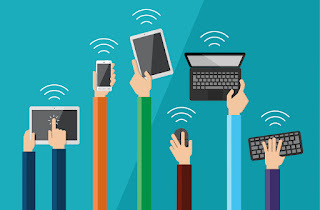 I surfed their content and found lessons I could do with my students in a matter of seconds. I love how the lessons/projects are broken down into stepping stones. I also love how interactive they can be. There are already created lessons some of them are free others do cost. You can browse by Common Core standards, grade level, and even subject. You can even create your own lesson or project. If you need help learning about NextLesson there is a built in tour that will walk you through the different features. One of the lessons I used with my technology classes was called My Dream Vacation. It is a free lesson and I was able to take it and customize it to fit my students' needs. My students really like the topic of planning their own dream vacation. I liked it because I could incorporate all of the skills we had learned and have my students apply them in a real world situation. I used the Rank and Reasoning with my students to help brainstorm places to go on vacation. The discussion piece really helped my students share their findings and ask questions such as; What can you do there? What can you see? How much is that going to cost? The stepping stones really helped keep the my students moving forward. Once they completed a task then they could move a head. 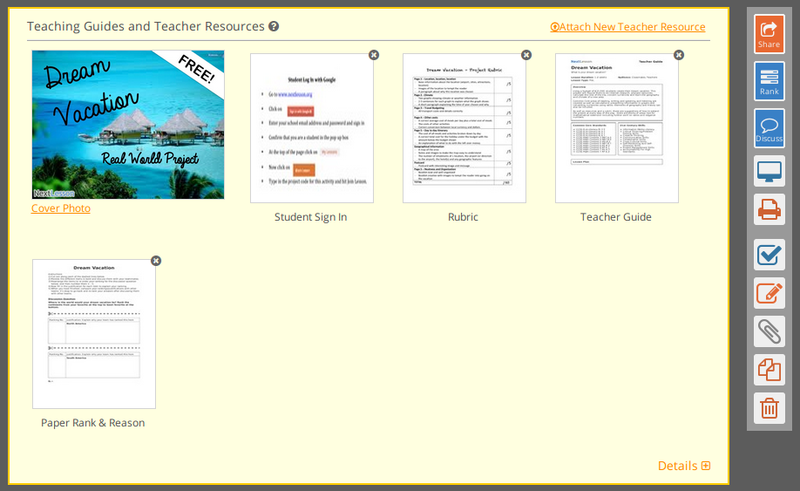 With each task you can have student notes, teacher notes, and attachments such as a web link, images, or video clips. The teacher resources are also very helpful especially the rubrics. One of the things I changed about the NextLesson My Dream Vacation was I wanted my students to use any tool to create a presentation. I gave them a list of suggested tools, most of them stuck to creating a Keynote presentation others did venture out and tried something new. Below are just a few examples of their finished product. Just a few I found interesting and fun to try.